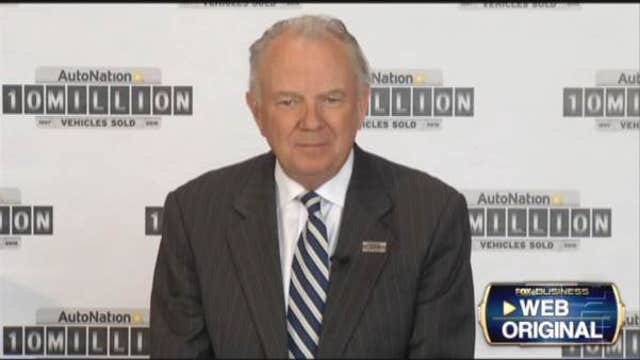 AutoNation CEO Mike Jackson discusses what drove him to success. His company is making history in auto retail, now AutoNation CEO Mike Jackson reveals the one characteristic that drove him to success in the FBN Suite Spot. CLAMAN: When I look at your successes and where you started, it is quite unbelievable to me that anyone, even with your smarts, was able to grow something like this. You’re marking the ten millionth vehicle sold. When you think about the blood, sweat and tears, and the team that helped you get here, what do you think the characteristic that that team had, was the most important one to get you where you are today? JACKSON: Liz, I think the defining characteristic of my life is perseverance. There’s no doubt about it. We, as a company, are about to achieve something that has never been done in the history of auto retail. No one else has even come close. Selling them one at time, we, this month, retailed our ten millionth automobile. It’s a thrilling moment for the company and we’re celebrating across the company from coast to coast. CLAMAN: Well, it’s a success story and anyone who wants to know what perseverance really means should definitely look into all that Mike Jackson is today.